Many toddlers love drawing. It’s technically scribbling, but for them it’s definitely drawing. 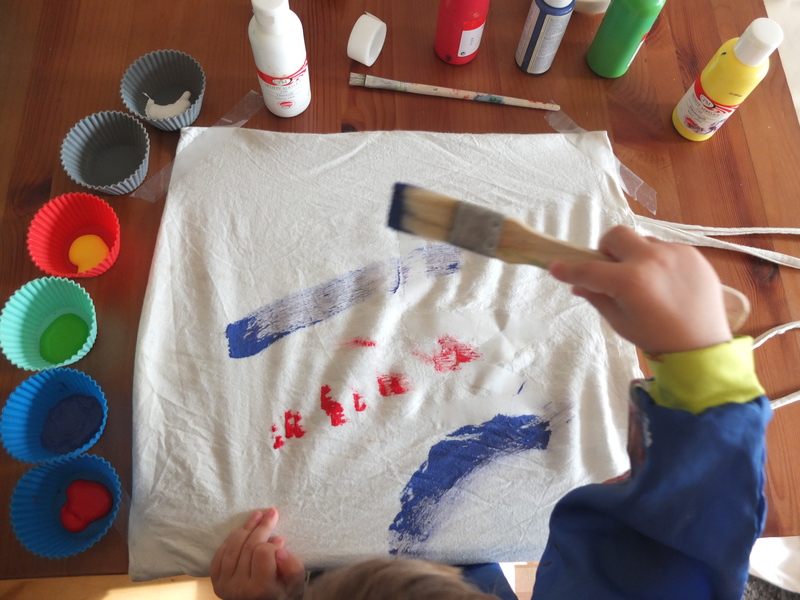 There is one thing that toddlers love even more than covering your white couch with markers and that’s painting with acrylics, that are impossible to remove. Why would anyone mix toddlers and acrylics? Because you are a creative adult and have to share space with your child, that’s why. 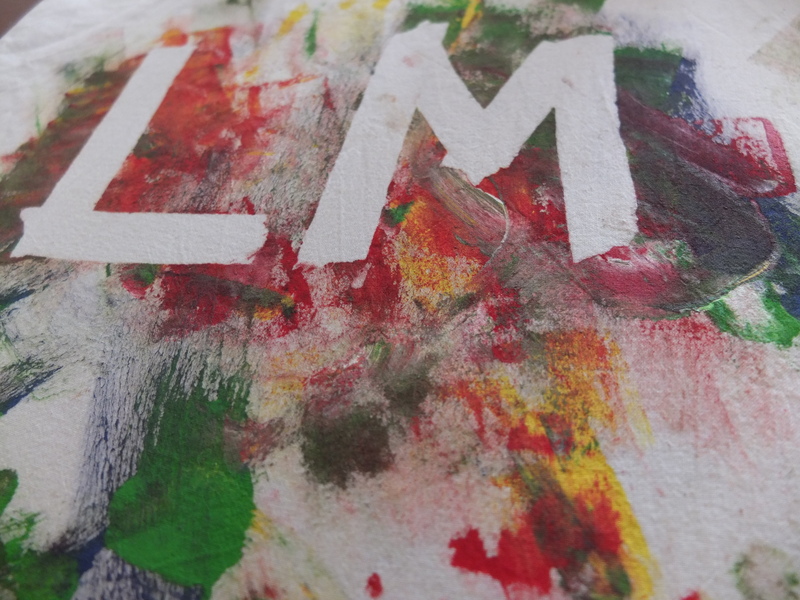 I try to give LM the opportunity to paint as much as I can. We have one of those big rolls of paper from IKEA and I cut large pieces that cover our whole table and let her go crazy on them. 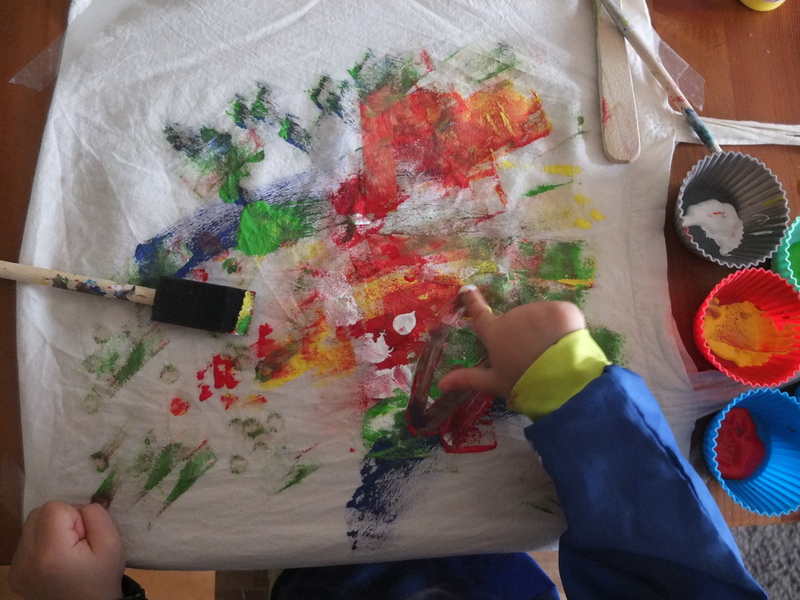 It starts out neatly, with specific dots and lines of color, and about after 10 minutes she just grabs paint with her bare hands and slides her palm over everything. Most of her artwork has a muddy brown-gray color and I still love every single one of them. This time I decided to collaborate with her and put her painting craze into good use. 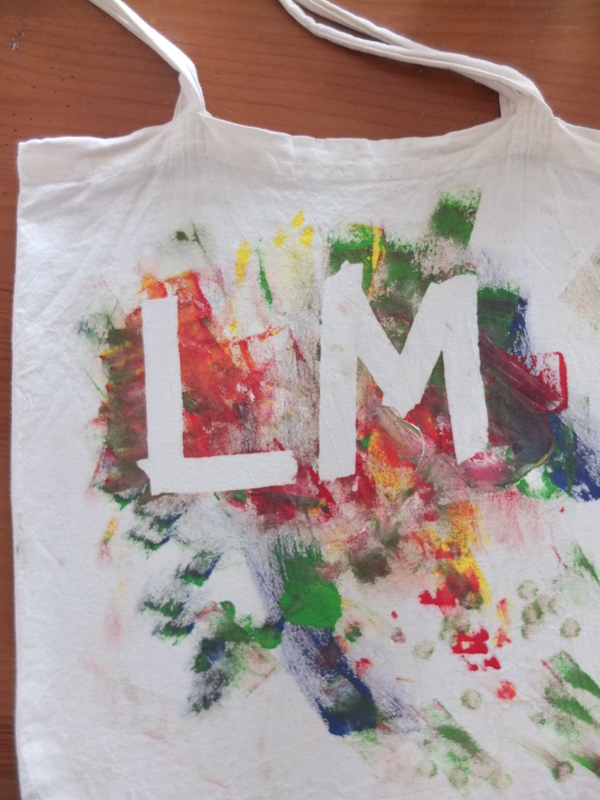 We have too many canvas tote bags lying around and I thought it would be nice to create a personalized one, to store in there all of LM’s stuff when we are out and about. And that’s exactly what we did. You can read the captions for instructions but the pics speak for themselves really. I use cupcake silicon molds as paint containers and it works quite well cause they are easy to clean and reusable. I used acrylics, because you can heat-set them and they won’t fade when washed. The first step is to put tape arranged in the shape that you want firmly on the tote. 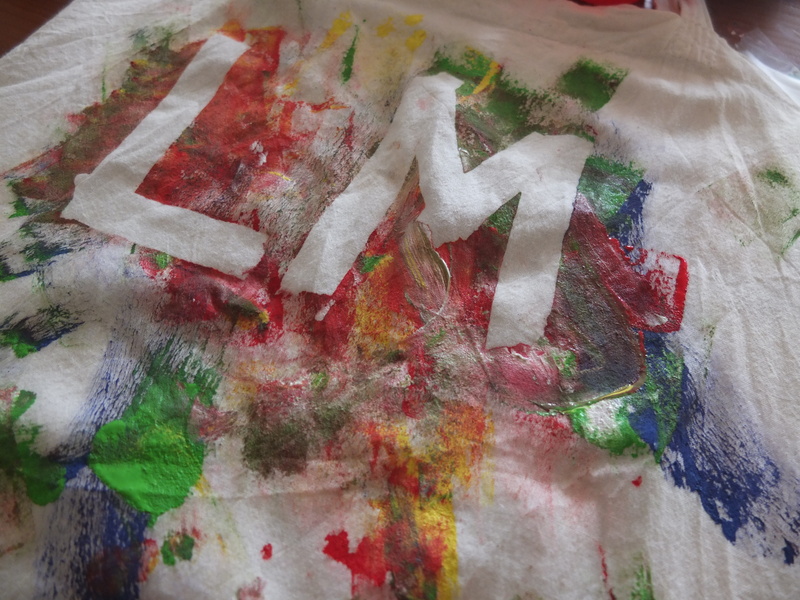 Here I roughly designed LM’s initials. 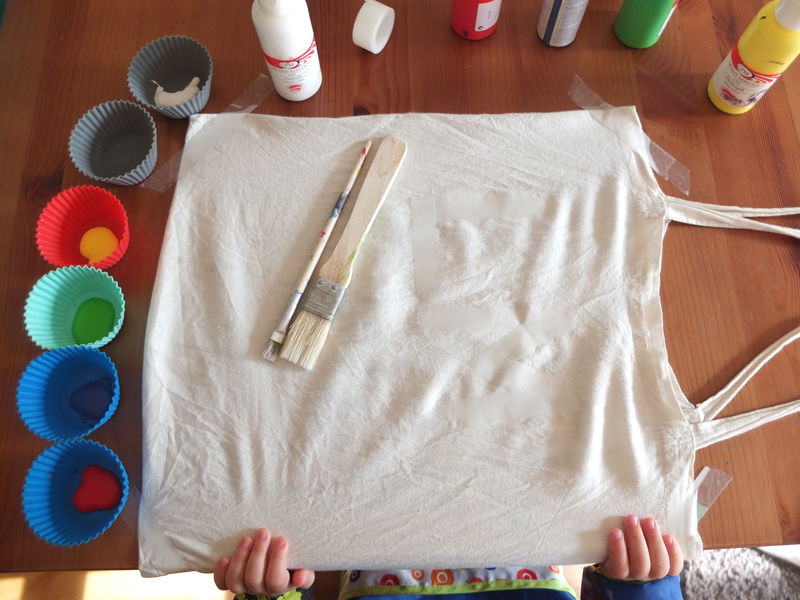 Offering a variety of tools to paint with is a great idea to encourage toddlers to explore. Once all the area around the tape is covered with paint and the little one declares they are done, it’s time to peel the tape. This is how ours looked before the heat setting. 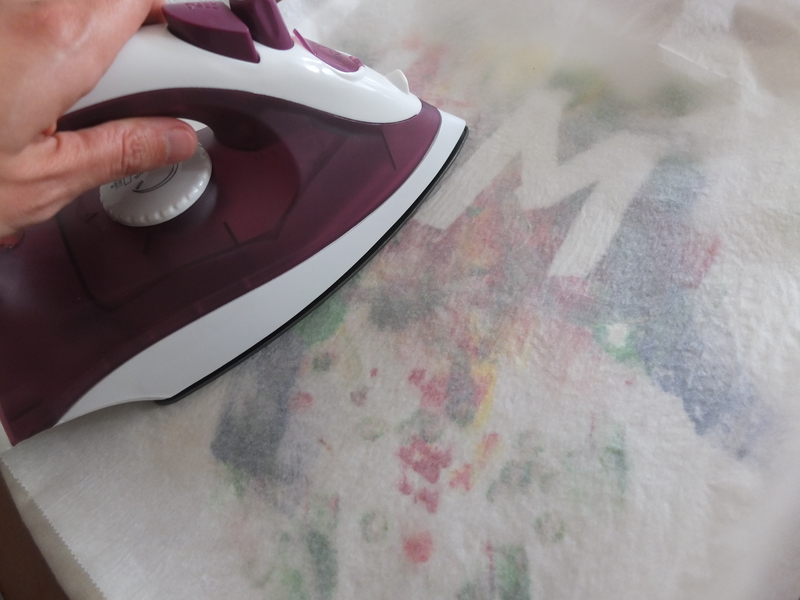 When the paint is mostly dry, apply a baking sheet on top of the tote and iron pressing firmly on the highest temperature setting. 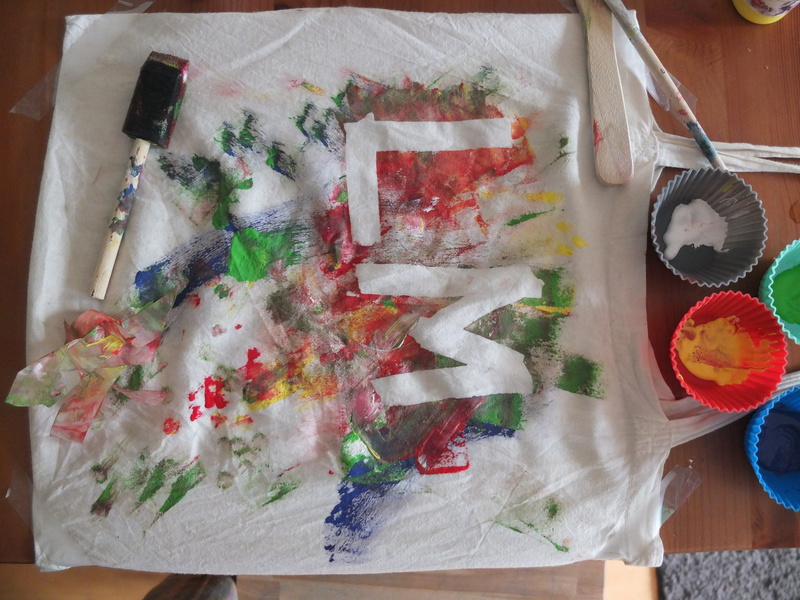 If you don’t want the back of the tote to get stained, put a piece of cardboard inside, while you paint. A piece of baking paper should work too. If you want to keep your toddler relatively clean, then let them paint naked and rub them with nappy wipes afterwards, wherever there is paint. I don’t think you will be able to skip the bath though, to be honest.